Participant flow in the Women's Health Initiative Dietary Modification Trial. Kaplan-Meier estimates of the cumulative hazard for treated diabetes in the Women's Health Initiative Dietary Modification Trial. CI indicates confidence interval; HR, hazard ratio. Treated diabetes hazard ratios and annualized incidence by baseline dietary factors in the Women's Health Initiative Dietary Modification Trial. Limit lines indicate confidence interval. Treated diabetes hazard ratios and annualized incidence by baseline diabetes risk factors in the Women's Health Initiative Dietary Modification Trial. Limit lines indicate confidence interval. BMI indicates body mass index (calculated as weight in kilograms divided by height in meters squared); E, estrogen; HOMA-IR, homeostasis model assessment, insulin resistance; HT, hormone therapy; MET, metabolic equivalent; and P, progestin. To convert glucose to millimoles per liter, multiply by 0.0555; insulin to picomoles per liter, multiply by 6.945. Are You What You Eat, or How Much You Eat? Background Decreased fat intake with weight loss and increased exercise may reduce the risk of diabetes mellitus in persons with impaired glucose tolerance. This study was undertaken to assess the effects of a low-fat dietary pattern on incidence of treated diabetes among generally healthy postmenopausal women. Methods A randomized controlled trial was conducted at 40 US clinical centers from 1993 to 2005, including 48 835 postmenopausal women aged 50 to 79 years. Women were randomly assigned to a usual-diet comparison group (n = 29 294 [60.0%]) or an intervention group with a 20% low-fat dietary pattern with increased vegetables, fruits, and grains (n = 19 541 [40.0%]). Self-reported incident diabetes treated with oral agents or insulin was assessed. Results Incident treated diabetes was reported by 1303 intervention participants (7.1%) and 2039 comparison participants (7.4%) (hazard ratio, 0.96; 95% confidence interval, 0.90-1.03; P = .25). Weight loss occurred in the intervention group, with a difference between intervention and comparison groups of 1.9 kg after 7.5 years (P < .001). Subgroup analysis suggested that greater decreases in percentage of energy from total fat reduced diabetes risk (P for trend = .04), which was not statistically significant after adjusting for weight loss. Conclusions A low-fat dietary pattern among generally healthy postmenopausal women showed no evidence of reducing diabetes risk after 8.1 years. Trends toward reduced incidence were greater with greater decreases in total fat intake and weight loss. Weight loss, rather than macronutrient composition, may be the dominant predictor of reduced risk of diabetes. The Women's Health Initiative (WHI) Dietary Modification Trial (DMT) was a randomized controlled trial designed to measure the effect of an ad libitum low-fat diet on the incidence of diabetes. The objectives of this report are to address the hypothesis that an ad libitum low-fat dietary pattern alone, without goals of exercise or weight loss, reduces the incidence of diabetes in generally healthy postmenopausal women. The design and baseline description of the WHI DMT and recruitment methods have been published.20-22 Briefly, 48 835 generally healthy postmenopausal women aged 50 to 79 years were recruited and enrolled at 40 clinical centers across the United States. Major exclusion criteria included having a history of breast cancer or colorectal cancer, any cancer within the previous 10 years except nonmelanoma skin cancer, medical conditions with a predicted survival of less than 3 years, adherence or retention concerns, current dietary intake of less than 32% of energy from fat, and type 1 diabetes mellitus. Mean follow-up time for the WHI DMT was 8.1 years, and the trial progressed to its planned conclusion date of March 31, 2005. Approximately 14% of participants in the WHI DMT also participated in 1 of the WHI hormone trials,23,24 and nearly 52% participated in the WHI calcium and vitamin D trial.25 The WHI protocol and consent forms were approved by the institutional review board for each participating institution and the clinical coordinating center. All participants provided informed consent. Potential participants for the WHI DMT completed 3 prerandomization screening visits during which baseline information was obtained.26 Follow-up for clinical events was scheduled to occur every 6 months. Participants were instructed to bring all current prescription and nonprescription medications in their original containers, and medication was documented in a pharmacy database (Master Drug Database; Medi-Span, Indianapolis, Indiana). Descriptive statistics for baseline demographic and health information, laboratory measures related to diabetes, and dietary intakes were computed and compared by randomization assignment. Means and standard deviations were computed for dietary FFQ data and diabetes risk factor data at baseline, year 1, and year 6. The 6-year time point for dietary data included years 5, 6, and 7 to provide a sampling from all active WHI DMT participants. Differences between intervention and comparison for baseline, year 1, and year 6 were computed and tested for significance at P < .001 by means of a 2-sample t test or appropriate nonparametric techniques. Multiple comparisons were tested by Bonferroni t tests or similar tests. Bivariate comparisons of categorical variables were performed with the χ2 test or Fisher exact test as appropriate. Primary outcome comparisons of treated diabetes were analyzed as time-to-event hazard ratios and 95% confidence intervals from Cox proportional hazards analyses. Outcomes were those available from the September 2005 database. Significance was analyzed by log-rank tests. Analyses were stratified by, and thus adjusted for, the following: (1) randomization assignment, (2) age at baseline (50-59, 60-69, or 70-79 years), (3) randomization to the Hormone Therapy Trial (not randomized, randomized to active estrogen alone or placebo for women without a uterus, or randomized to active estrogen plus progestin or placebo for women with a uterus). A Kaplan-Meier curve was drawn to depict cumulative hazard estimates over time. Annualized rates of incident diabetes were assessed for absolute disease rate comparisons. A sensitivity (adherence) analysis was done by inverse probability weighting25,34 for session attendance for DMT intervention participants plus clinic visit and additional factors related to adherence, such as WHI hormone trials randomization, demographics, lifestyle habits, and psychosocial factors, for all participants. Because participants in the DMT intervention group lost a modest amount of weight compared with the DMT comparison group (a difference of 1.9 kg over 7.5 years; P < .001),16 a proportional hazards model with weight change as a time-dependent covariate was used to explore possible effects of postrandomization weight change on diabetes risk. Subgroup analyses for interactions of randomization assignment with the risk of developing treated diabetes were assessed for baseline demographics, health history, dietary factors, and diabetes risk factors. Additional subgroup analyses compared the risk of developing diabetes with dietary intakes at year 1 of percentage of energy from fat and number of servings of vegetable, fruit, and grain, which were the 3 DMT dietary intervention goals. Dietary intakes at year 1 were chosen to examine the potential interactions in relation to the year when maximum change in dietary intake had been reported by the intervention group. Quartiles of intakes reported by the DMT intervention group were compared with the overall intake reported by the comparison group. The year 1 subgroup data were analyzed as 1 unadjusted model and 2 adjusted models. Of the 2 adjusted models, one adjusted for baseline factors of age, race/ethnicity, education, smoking status, alcohol use, physical activity, baseline body mass index, functional and psychosocial factors influencing adherence (physical functioning, mental health, optimism, hostility, negative emotional expressiveness),35,36 and dietary intake for the pertinent dietary variable. For example, year 1 quartiles of percentage of energy from total fat were adjusted for baseline intake of percentage of energy from total fat. The other model adjusted for the baseline factors listed for the first model plus change in body weight from baseline to year 1. Diabetes cases reported before year 1 were excluded from the analyses to decrease the possibility of undiagnosed diabetes at baseline. Participants with missing data for any of the adjustment factors were excluded from the 3 year 1 subgroup analyses. Hazard ratios and P values for interaction were computed for the subgroup analyses. Among the 48 835 WHI DMT participants, 45 887 are represented in these analyses (see Figure 1 for participant flow). Excluded were the 2948 participants (6.0%) who self-reported prevalent diabetes at baseline. Blood analyses were available for 2577 of the participants (5.6%). Participants with prevalent diabetes were older, heavier (higher body mass index), and less physically active and had higher blood pressure than participants not reporting diabetes. Baseline dietary intakes for participants with diabetes were higher for total fat, combined vegetables and fruits, grains, and fiber, whereas intake was lower for saturated fat. On average, there were no significant differences (P < .05) in baseline characteristics between the intervention and comparison groups of participants without prevalent diabetes (Table 1). There was a borderline statistically significant difference in systolic blood pressure of 0.3 mm Hg between groups, which is not considered clinically different. Within tertiles of serum glucose level among the 5.8% subsample analyzed, slightly more of the intervention participants had blood glucose levels greater than 98 mg/dL, although mean glucose level did not differ between the intervention and comparison groups. Participants were 62 years of age on average; most were white, not randomized to the hormone therapy trials, not exposed to exogenous estrogen or estrogen plus progestin, and nonsmokers or past smokers. As shown in Table 2, at baseline, the mean percentage of energy from total fat was 37.7% (SD, 5.0%). No differences in dietary intake at baseline were seen between the intervention and comparison groups. At year 1, the intervention group reported lower total dietary fat as a percentage of energy and higher intakes of vegetables, fruits, grains, and dietary glycemic index and glycemic load than did the comparison group. The differences between intervention and comparison groups at year 6 were somewhat smaller than those at year 1, but they remained significant, except dietary glycemic index at year 6. Table 3 shows that, on average, participants at baseline were overweight and had systolic blood pressure in the prehypertensive range, although blood glucose levels were in the normal range with no differences between groups. One year after randomization, weight, body mass index, waist circumference, systolic and diastolic blood pressure, and serum glucose level were lower in the intervention group (P < .001). Six years after randomization, weight and body mass index were lower in the intervention group (P < .001). Overall, 1303 participants (7.1%; annual incidence, 0.88%) in the WHI DMT intervention group and 2039 participants (7.4%; annual incidence, 0.91%) in the comparison group self-reported a new (incident) diagnosis of treated diabetes during follow-up. The estimated hazard ratio was 0.96 (95% confidence interval, 0.90-1.03; Figure 2), with essentially the same results if only treated diabetes was excluded at baseline (data not shown). The adherence sensitivity analysis, adjusting for participation in the intervention and DMT protocol, resulted in a hazard ratio of 0.93 (95% confidence interval, 0.81-1.07). The time-dependent weight change proportional hazards model resulted in a hazard ratio of 0.96 (95% confidence interval, 0.89-1.02), nearly identical to the primary hazard ratio. In baseline subgroup analyses, there were no significant interactions between randomization assignment and dietary intakes (Figure 3). A statistically significant interaction was seen among tertiles of serum insulin levels and HOMA-IR, but no one tertile differed significantly from unity (Figure 4). For the year 1 subgroup analyses, data from an additional 12 767 participants were excluded because of missing data (n = 10 535) or diabetes reported between baseline and year 1 (n = 2232). Adjusted subgroup analyses between year 1 dietary factors and randomization assignment showed a statistically significant effect for percentage of energy from total fat (P = .04). After additional adjustment for weight change between baseline and year 1, an effect of percentage of energy from dietary fat on incidence of treated diabetes was no longer statistically significant (Table 4). On adjustment for baseline factors and weight change, no apparent effect was seen for changes in intake of vegetables, fruits, or grains. Lifestyle interventions combining a low-fat dietary pattern, weight loss, and exercise have been found to lower risk of developing type 2 diabetes mellitus.8-11 In the WHI DMT, implemented for an average of 8.1 years among generally healthy postmenopausal women, intervention with a low-fat dietary pattern alone did not result in a statistically significant reduction in treated diabetes incidence compared with participants consuming their usual diet. Neither, however, did the low-fat dietary pattern result in an increased risk of diabetes. Dietary total fat, on its own, has overall shown little evidence of being a risk factor for diabetes. 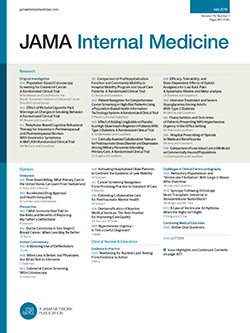 Although research by Marshall and colleagues40 suggested that dietary total fat was a risk factor for developing diabetes, much of the prospective research since then has not corroborated such an association.41-44 The findings from the WHI are consistent with the prospective studies in not showing an effect of dietary total fat alone. The impact of early dietary changes can be partially examined through subgroup analyses based on dietary change at year 1. While the statistically significant interaction (P = .04) between intervention and comparison groups after adjustment for baseline factors suggested a reduced risk of diabetes with greater fat reduction, the significance disappeared on further adjustment for weight change. This suggests that weight loss accounts for the protective effect. Thus, in a generally healthy population of postmenopausal women, the role of an ad libitum low-fat dietary pattern in diabetes prevention may be as a mediator of weight loss. Subgroup analyses showed a statistically significant interaction among tertiles of baseline serum insulin level and HOMA-IR, suggesting the possibility of differential effects of a low-fat dietary pattern. However, this should be interpreted cautiously because of the number of subgroup analyses and the small number of cases in the lowest tertile of insulin level and HOMA-IR. Some studies have shown that a higher dietary glycemic index and glycemic load may predict elevated risk of diabetes.17-19 However, other studies have not shown an effect of glycemic index or glycemic load on diabetes incidence.42,49,50 In the WHI DMT, the glycemic index did not differ to a biologically significant degree between the DMT comparison and intervention groups at baseline, year 1, or year 6. Dietary glycemic load was higher in the intervention group at years 1 and 6 but was not found to be associated with risk of diabetes. Limitations of our study warrant consideration. In the WHI DMT, incident diabetes was limited to self-report of diabetes treated by insulin or oral agents, although the medication inventory agreement with self-report was high33 and the number of physical examinations suggests that health was routinely being monitored. Second, dietary intake was captured by self-report and may present a source of bias.51 Third, the WHI FFQ was designed to be sensitive to sources of dietary fat, changes in fat intake, and vegetables and fruits, not glycemic index or glycemic load. Fourth, in the sensitivity analysis, there was not a method for fully comparing adherence between the 2 groups given that only the intervention group was asked to attend dietary change sessions. Fifth, it is possible that there was an increased awareness of diabetes risk, screening, and hence diagnosis among the intervention group, leading to an underestimation of the association between a low-fat diet and incident diabetes. However, this is unlikely because the intervention and comparison groups reported having received the same number of physical examinations during the follow-up period. Finally, subgroup analyses must be viewed with caution because of the large number of comparisons, the potential for residual confounding, and missing data. Overall, the WHI DMT ad libitum low-fat dietary intervention was not associated with a reduced or increased risk of treated diabetes in generally healthy postmenopausal women. However, there were suggestions that, among participants with greater reductions in dietary fat, reductions in energy intake resulted in weight loss. Thus, any reduction in diabetes risk appears to be related to weight loss rather than to the macronutrient composition of the diet. Correspondence: Lesley F. Tinker, PhD, Women's Health Initiative, Fred Hutchinson Cancer Research Center, PO Box 19024, Mail Stop M3-A410, Seattle, WA 98109 (ltinker@whi.org). Accepted for Publication: December 20, 2007. Author Contributions: Dr Tinker had full access to all of the data in the study and takes responsibility for the integrity of the data and the accuracy of the data analysis. Study concept and design: Tinker, Margolis, Manson, and Wenger. Acquisition of data: Bonds, Manson, Howard, Perri, Beresford, Rodríguez, Safford, Stevens, and Parker. Analysis and interpretation of data: Tinker, Bonds, Margolis, Manson, Howard, Larson, Perri, Robinson, Wenger, and Stevens. Drafting of the manuscript: Tinker, Bonds, Larson, and Safford. Critical revision of the manuscript for important intellectual content: Tinker, Bonds, Margolis, Manson, Howard, Larson, Perri, Beresford, Robinson, Rodríguez, Wenger, Stevens, and Parker. Statistical analysis: Larson and Safford. Obtained funding: Manson, Howard, Beresford, Rodríguez, and Stevens. Administrative, technical, and material support: Manson, Perri, Stevens, and Parker. Study supervision: Tinker, Manson, Howard, Perri, Wenger, and Stevens. Financial Disclosure: Dr Robinson has received grants from Abbott, Andrx Labs, Astra-Zeneca, Atherogenics Inc, Bristol-Myers Squibb, GlaxoSmithKline, Hoffman La Roche, Merck, Pfizer, Procter & Gamble, Sankyo, Schering-Plough, Takeda, and Wyeth Ayerst; speaker honoraria for educational programs from Bristol-Myers Squibb, Merck, and Pfizer; and honoraria from Reliant; and serves on the Consultant/Advisory Board for Bristol-Myers Squibb, Merck, Pfizer, Proliant, Wellmark, and the American Emu Association. Dr Howard is a consultant for Merck and the Egg Nutrition Council; has received research support from Pfizer, Merck, and Schering-Plough; and has lectured for Schering-Plough. Funding/Support: The WHI program was funded by the National Heart, Lung, and Blood Institute of the National Institutes of Health, US Department of Health and Human Services. Role of the Sponsor: The funding organization had representation on the steering committee, which governed the design and conduct of the study, the interpretation of the data, and the preparation and approval of the manuscript. The National Heart, Lung, and Blood Institute Program Office reviewed the manuscript before publication. Independent Statistical Analysis: All statistical analyses for the study were performed by statisticians at the Fred Hutchinson Cancer Research Center, Division of Public Health Sciences, under the direction of the principal investigator of the Coordinating Center, Ross Prentice, PhD. National Heart, Lung, and Blood Institute, Bethesda, Maryland: Elizabeth Nabel, Jacques Rossouw, Linda Pottern, Shari Ludlam, Joan McGowan, Nancy Geller, and Leslie Ford. Fred Hutchinson Cancer Research Center, Seattle, Washington: Ross Prentice, Garnet Anderson, Andrea LaCroix, Ruth Patterson, Anne McTiernan, Barbara Cochrane, Julie Hunt, Lesley Tinker, Charles Kooperberg, Martin McIntosh, C. Y. Wang, Chu Chen, Deborah Bowen, Alan Kristal, Janet Stanford, Nicole Urban, Noel Weiss, and Emily White. Medical Research Labs, Highland Heights, Kentucky: Evan Stein and Peter Laskarzewski. San Francisco Coordinating Center, San Francisco, California: Steven R. Cummings, Michael Nevitt, and Lisa Palermo. University of Minnesota, Minneapolis: Lisa Harnack. Fisher BioServices, Rockville, Maryland: Frank Cammarata and Steve Lindenfelser. University of Washington, Seattle: Bruce Psaty and Susan Heckbert. Albert Einstein College of Medicine, Bronx, New York: Sylvia Wassertheil-Smoller, William Frishman, Judith Wylie-Rosett, David Barad, and Ruth Freeman. Baylor College of Medicine, Houston, Texas: Aleksandar Rajkovic, Jennifer Hays, Ronald Young, and Haleh Sangi-Haghpeykar. Brigham and Women's Hospital, Harvard Medical School, Boston, Massachusetts: JoAnn E. Manson, Kathryn Rexrode, Brian Walsh, J. Michael Gaziano, and Maria Bueche. Brown University, Providence, Rhode Island: Charles B. Eaton, Michele Cyr, and Gretchen Sloane. Emory University, Atlanta, Georgia: Lawrence Phillips, Vicki Butler, and Vivian Porter. Fred Hutchinson Cancer Research Center: Shirley A. A. Beresford, Vicky M. Taylor, Nancy F. Woods, Maureen Henderson, and Robyn Andersen. George Washington University, Washington, DC: Judith Hsia, Nancy Gaba, and Richard Katz. Harbor-UCLA Research and Education Institute, Torrance, California: Rowan Chlebowski, Robert Detrano, Anita Nelson, and Michele Geller. Kaiser Permanente Center for Health Research, Portland, Oregon: Yvonne Michael, Evelyn Whitlock, Victor Stevens, and Njeri Karanja. Kaiser Permanente Division of Research, Oakland, California: Bette Caan, Stephen Sidney, Geri Bailey, and Jane Hirata. Medical College of Wisconsin, Milwaukee: Jane Morley Kotchen, Vanessa Barnabei, Theodore A. Kotchen, Mary Ann C. Gilligan, and Joan Neuner. MedStar Research Institute/Howard University, Washington, DC: Barbara V. Howard, Lucile Adams-Campbell, Lawrence Lessin, Cheryl Iglesia, and Linda K. Mickel. Northwestern University, Chicago/Evanston, Illinois: Linda Van Horn, Philip Greenland, Janardan Khandekar, Kiang Liu, and Carol Rosenberg. Rush Medical Center, Chicago, Illinois: Henry Black, Lynda Powell, Ellen Mason, and Martha Gulati. Stanford Prevention Research Center, Stanford University, Stanford, California: Marcia L. Stefanick, Mark A. Hlatky, Bertha Chen, Randall S. Stafford, and Sally Mackey. State University of New York at Stony Brook: Dorothy Lane, Iris Granek, William Lawson, Catherine Messina, and Gabriel San Roman. The Ohio State University, Columbus: Rebecca Jackson, Randall Harris, Electra Paskett, W. Jerry Mysiw, and Michael Blumenfeld. University of Alabama at Birmingham: Cora E. Lewis, Albert Oberman, James M. Shikany, and Monika Safford. University of Arizona, Tucson/Phoenix: Cynthia A. Thomson, Tamsen Bassford, Cheryl Ritenbaugh, Zhao Chen, and Marcia Ko. University at Buffalo, Buffalo, New York: Jean Wactawski-Wende, Maurizio Trevisan, Ellen Smit, Susan Graham, and June Chang. University of California at Davis, Sacramento: John Robbins and S. Yasmeen. University of California at Irvine: F. Allan Hubbell, Gail Frank, Nathan Wong, Nancy Greep, and Bradley Monk. University of California at Los Angeles: Lauren Nathan, David Heber, Robert Elashoff, and Simin Liu. University of California at San Diego, La Jolla/Chula Vista: Robert D. Langer, Michael H. Criqui, Gregory T. Talavera, Cedric F. Garland, and Matthew A. Allison. University of Cincinnati, Cincinnati, Ohio: Margery Gass and Nelson Watts. University of Florida, Gainesville/Jacksonville: Marian Limacher, Michael Perri, Andrew Kaunitz, R. Stan Williams, and Yvonne Brinson. University of Hawaii, Honolulu: J. David Curb, Helen Petrovitch, Beatriz Rodríguez, Kamal Masaki, and Santosh Sharma. University of Iowa, Iowa City/Davenport: Robert Wallace, James Torner, Susan Johnson, Linda Snetselaar, and Jennifer Robinson. University of Massachusetts/Fallon Clinic, Worcester: Judith Ockene, Milagros Rosal, Ira Ockene, Robert Yood, and Patricia Aronson. University of Medicine and Dentistry of New Jersey, Newark: Norman Lasser, Baljinder Singh, Vera Lasser, John Kostis, and Peter McGovern. University of Miami, Miami, Florida: Mary Jo O’Sullivan, Linda Parker, JoNell Potter, Diann Fernandez, and Pat Caralis. University of Minnesota, Minneapolis: Karen L. Margolis, Richard H. Grimm, Mary F. Perron, Cynthia Bjerk, and Sarah Kempainen. University of Nevada, Reno: Robert Brunner, William Graettinger, Vicki Oujevolk, and Michael Bloch. University of North Carolina, Chapel Hill: Gerardo Heiss, Pamela Haines, David Ontjes, Carla Sueta, and Ellen Wells. University of Pittsburgh, Pittsburgh, Pennsylvania: Lewis Kuller, Jane Cauley, and N. Carole Milas. University of Tennessee Health Science Center, Memphis: Karen C. Johnson, Suzanne Satterfield, Rongling Li, Stephanie Connelly, and Fran Tylavsky. University of Texas Health Science Center, San Antonio: Robert Brzyski and Robert Schenken. University of Wisconsin, Madison: Gloria E. Sarto, Douglas Laube, Patrick McBride, Julie Mares, and Barbara Loevinger. Wake Forest University School of Medicine: Mara Vitolins, Greg Burke, Robin Crouse, and Scott Washburn. Wayne State University School of Medicine/Hutzel Hospital, Detroit, Michigan: Michael Simon. Wake Forest University School of Medicine: Sally Shumaker, Stephen Rapp, Claudine Legault, Mark Espeland, and Laura Coker. Baylor College of Medicine: Jennifer Hays and John Foreyt. Brown University: Annlouise R. Assaf. Emory University: Dallas Hal. George Washington University: Valery Miller. Kaiser Permanente Center for Health Research, Portland: Barbara Valanis. Kaiser Permanente Division of Research, Oakland: Robert Hiat. National Cancer Institute: Carolyn Clifford.† National Heart, Lung, and Blood Institute: Linda Pottern. University of California at Irvine: Frank Meyskens, Jr. University of California at Los Angeles: Howard Judd.† University of Cincinnati: James Liu and Nelson Watts. University of Miami: Marianna Baum. University of Minnesota, Minneapolis: Richard Grimm. University of Nevada, Reno: Sandra Daugherty.† University of North Carolina, Chapel Hill: David Sheps and Barbara Hulka. University of Tennessee Health Science Center, Memphis: William Applegate. University of Wisconsin, Madison: Catherine Allen.† Wake Forest University School of Medicine: Denise Bonds.